LowToxBox is a monthly subscription company providing a monthly box of natural and ethically sourced products to help live a healthy low-toxic lifestyle in the 21st Century. LowToxBox provides a monthly delivery of eight handpicked items, such as natural skin care products, healthy foods and snacks, and organic cleaning products. Every month, subscribers will a receive a set of different products. Customers can subscribe for a whole year down to buying a single box for a gift. If they like any item, they can order more of it from the LowToxBox website. LowToxBox only source from ethical suppliers whose business practices do not harm people, animals or the planet. Sourcing Fairtrade, organic, natural, eco-friendly, cruelty-free products from large well-known companies to small independent brands and deliver them right to your door. The packaging is eco-friendly and uses only non-toxic inks for all the printing. 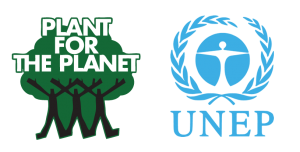 LowToxBox also plants a tree for every box sold to help counterbalance their carbon footprint and provide opportunities for some of the poorest communities in the developing world. LowToxBox believes that as an individual you have the power to make a positive impact on the environment and can unearth something wonderful along the way.